I spent many weekends and Friday nights in clubs with my brother and my parents growing up in Tuggeranong. Our local clubs would often be our ‘go to’ places for family dinners out. Venues like the Southern Cross Club, Vikings Club and Mawson Club. My brother and I also played junior sport through the clubs. Junior rugby and cricket with the Vikings was something we always looked forward to each weekend. I grew up around clubs. This meant that I also grew up around pokies. This is a common story. Clubs are great venues for families, for community sports, to have a beer after work or watch the footy on the weekend. What’s not great is their determination to make money from problem gambling. Yesterday I announced the Greens plan to tackle problem gambling, starting at the source of the problem – pokies. Our plan includes $1 maximum bets and mandatory pre-commitment on all pokies so that people can decide how much they’re willing to lose before pushing the first button. We will reduce the number of poker machines by 30% and we have put forward a suite of measures to support clubs to end their reliance on pokies. The Greens have stood up to the Labor Party, Clubs ACT and the Casino and demanded that they take harm minimisation measures seriously – and our determination to stand up to the gambling lobby has not gone unnoticed. We have been the focus on dozens of ClubsACT emails and online advertisements telling their members that we’re destroying their clubs, sporting activities and charities. It’s even been reported that Clubs ACT have taken the radical step of bankrolling the front party ‘Community Voters’ to protect their pokie empire, with revelations in last week’s Canberra Times that the pokies lobby is sinking up to $100,000 into TV advertising ahead of election day. But, the fact of the matter is this: four thousand people in Canberra have already shown moderate or higher risk gambling behaviour. That’s four thousand people who may be facing financial hardship or ruin, who face the prospect of serious addiction and whose family and friends will suffer alongside them. That’s four thousand people who are amongst the tens of thousands of Australians who are at risk of gambling addiction – making Australia the country that loses more money per person than any other on the face of the earth. If that’s not enough to say we need serious reform then I don’t know what is. Right now, days out from the ACT Election, ClubsACT are running a desperate, concerted campaign to elect the Canberra Liberals to protect their pokie profits. The ACT Labor Party have been backed into a corner after taking tens of thousands of donations from their pokie-filled Labor clubs. And a front party for pokies called Canberra Community Voters has made its political debut helping the clubs protect their pokie monopoly. This election the choice is starker than ever. The Greens are the only party with the guts to stand up to the gambling lobby and put the community first. We have made our position clear on the casino – we will never support it having pokies unless it accepts the tough harm minimisation standards that the Productivity Commission recommended. We have made our position clear to the clubs – we will work with them to incentivise and reward any harm minimisation measures, and we will support their work supporting community and sporting events. But, the positive contributions to the community by clubs is completely undermined while they are funded by the losses of problem gambling. And we have made our commitment clear to the public. The Greens will not accept donations from pokies or developers, and we will continue to campaign for donation reform so Canberrans can have confidence that decisions are being made in their best interests, not the interests of lobby groups. The community wants to see less pokies in our community, and we will stand with them to make sure that happens. I very much enjoyed the benefits that community clubs provide to our community. They are a venue for families to come together, enjoy a meal and enjoy watching and participating in sports. But it’s time they end their dependence on pokies. Canberra’s clubs are an important part of our community, and they were certainly an important part of my life growing up. 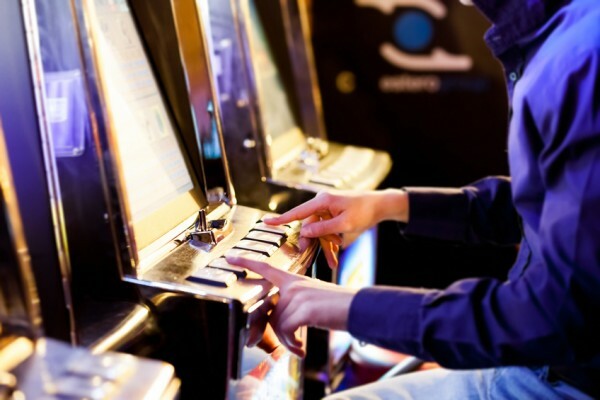 But, problem gambling – and the addictive, manipulative, destructive machines that fuel it – are not. Michael Mazengarb is a Greens candidate for the ACT Legislative Election, running in the Tuggeranong seat of Brindabella. You’ve touched on the key problem and it’s a problem that the Greens have helped foster. The Clubs and their poker machine revenue provide entertainment, facilities and recreation areas out in the outer Suburbs. I went to the FFA Cup against Melbourne FC at Erindale a couple of years back. That was the most exciting event to come to Tuggers for at least a decade. I go to the little and cheap Gym in Vikings, that gym can’t compete against the big boys without club support. The clubs make playing weekend sport cheaper for families and adults and they offer the opportunity to enjoy free musicians on a Friday evening, or even Leo Sayer or Psuedo Echo (well that may not actually be a positive). Plus the list goes on. The Greens have supported their funding promises and electioneering focus into their inner Canberra base. The Greens only fought hard for the inner city schools in the late 2000’s school closures (they let the outer suburb schools close and die) and they only fight hard for library closures and disappearing facilities in inner Canberra. I voted Green the last time they had a member for Brindabella and when I talked to her at a shopping Centre, she was only concerned about problems near where she lived in inner Canberra, she had no concept for the difficulties of many Tuggeranong residents. I agree with much of this article and I don’t like poker machines. I often agree with the Greens on many social issues, But I just never seem to witness the Greens actually delivering positive outcomes or providing facilities for the outer burbs in the South and far West of Canberra. Where does this leave the relationship between the ACT Greens with ACT Labor ? ACT Labor get much donations from Labor Clubs – with pokies. Good to see that Michael and the Greens are taking a stand. Presumably this means they will no longer accept donations from the CFMEU, funded by the Tradies Club.